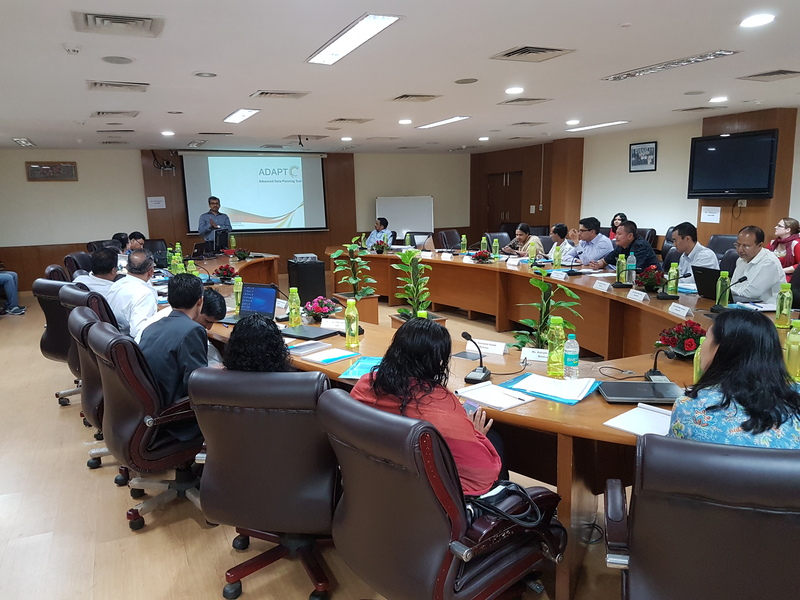 PARIS21 demonstrates the Advanced Data Planning Tool (ADAPT) to delegates from South-Asia in India in the first of series of Sub-regional Workshops on Data and Statistics for the Sustainable Development Goals (SDGs). Facilitating discussions and strengthening capacities to develop sub-regional and national level actions, the five-day workshop in South-Asia on data and statistics for the Sustainable Development Goals (SDGs) was organised by UNESCAP in India during September 5-9, 2016. Well attended by both government statisticians and planners from countries in the region, the workshop facilitated deepened discussions around gaps in data and statistics that countries are experiencing as data demands for the SDGs increase. The Advanced Data Planning Tool (ADAPT), which is being piloted by PARIS21 in several countries to assess the data gaps and subsequent developing plans, was presented during the workshop with concrete country examples. Participants then applied ADAPT to their respective context, using monitoring matrices of their respective national development plans and mapping indicators to related SDGs. Countries have shown strong interest in ADAPT for its ability to assess existing data gaps and plan for how to progress in a consultative manner with stakeholders in the national statistical systems. Aware of the demand for a tool, facilitating assessment, planning and monitoring of data gaps, UNESCAP and PARIS21 will showcase ADAPT in subsequent sub-regional workshops on data and statistics for the SDGs in the Asia and Pacific region.